Animals show their affection for other animal friends all over again. Unusual animal friendships have thrilled us several times, but this time a video clip landed on the web with a true friendship, where there is no shortage of touching scenes. One of the farm families saw that their dog had a special friendly bond with one of the cows, and the cow had acted like it was his mother. Rookie dog is a small puppy full of energy. He always enjoys running and playing, and he also likes people very much. But his best company is a big brown cow owned by his owners. 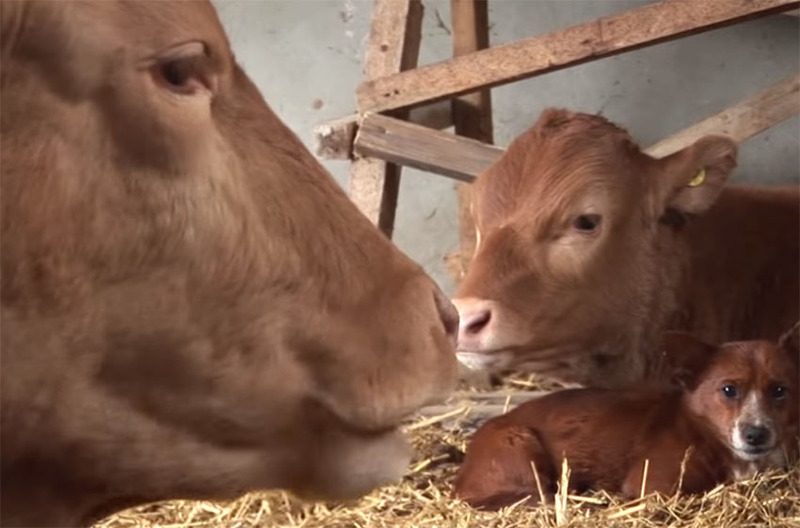 This cow behaves like a mother to him, as she licks him often on the fur, helping him discover new things, and often falling asleep in the embrace. Everything seemed to indicate that nothing in this world can separate those two friends. Unfortunately, for both of them, the day came when the cow had to be sold. The owner decided for this move because he did not have enough money to take care of the two cows he owned at that time. They took away the cow, and the Rookie's world was turned upside down. At the time of her departure, Rookie barked loudly, and his eyes filled with tears full of grief. He was completely lost and desperate, and he could only hope that he would see his cow again. When the cow was taken to a stables at the other end of the village, Rookie heard her loud moo-ing. He escaped the owner and ran straight to his cow, and there he almost went crazy from joy, as he saw his cow again. The owner soon came after him, took Rookie in his arms and brought him back home. During the walk, the Rookie cried aloud and barked, because he did not want to separate from the cow, with which they grew up together. The owner's heart was broken at that moment. At home, Rookie lost all appetite and energy, and even the full bowl of his favorite food wasn't enough for him. Many times he was walking in the vicinity of the farm, where his best friend was a few days ago, but there was no cows there. Only moments later, the best surprise followed for him! The owner bought the cow back because his heart was broken when he looked at Rookie. 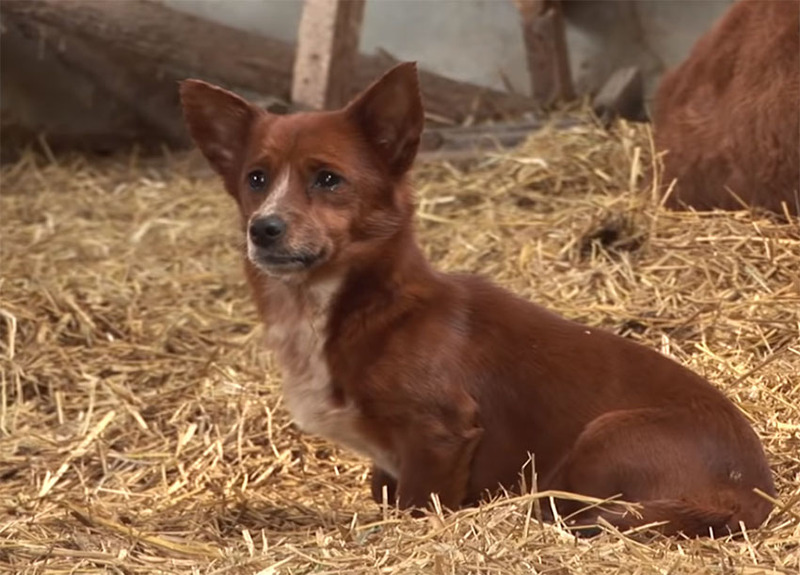 The cow and the dog again met, and the scenes of touching reunion will also break your heart. At the same time, the owner bought another small puppy so that the Rookie could share happiness with another dog friend. This is a video clip that is a clear evidence of the fact that even different animal species can have an unforgettable friendship with very special bond!